In one of their most famous adventures, Sherlock Holmes and Doctor Watson must unravel more than one mystery before time runs out as they confront a cunning foe who will stop at nothing to accomplish a dreadful goal. But is that foe human, or the result of a centuries-old curse? 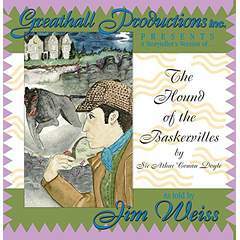 Come to the foggy English moors to learn the truth about the Hound of the Baskervilles.